As school budgets are slashed, principals and school communities are forced to make ever harder decisions about resources they can offer to their students and the training and support they can offer to their teaching staff, and art education funding is often first on the chopping block. CAPE’s students, teachers, and schools do not pay for our services! To ensure no school ever has to choose between CAPE and another external partnership, a field trip, or even a staff position, our programs are fully funded by grants and individuals like you who understand the importance of art education in our classrooms. CAPE inspires students’ passion for learning by bringing arts education to life through original, creative lessons, developed by artists and schoolteachers, leading to improved grades and confidence. Each year, CAPE’s programs reach more than 5000 Chicago Public Schools students. More than 80 Chicago Public Schools participated in CAPE programs in 2015-16. Our teachers and artists spent more than 11,000 hours learning, planning, and teaching together in 2015-16. CAPE’s approach to arts integration is proven to dramatically reduce the achievement gap between students designated as “high achieving” or “low achieving.” After three years of participation in a CAPE program, our students outperform their peers of each level at non-CAPE school. This demonstrates how CAPE can close the achievement gap while raising the bar for everyone. I found CAPE through a work project but have donated personally because I understand the value they bring to CPS students. I participated in band, choir, orchestra and theater from elementary through high school and feel all students deserve the same learning tools that I had access to. I am not a parent myself, but I understand the importance of broadening a student’s classroom experience for them to grow and nurture into accomplished adults. I give to CAPE because I’m invested in the future of Chicago. Participating in the orchestra when I was in school had a significant impact on my self-confidence and creativity, and it’s my hope that we can provide the same opportunities to the current generation! With arts funding diminishing, organizations like CAPE help create those opportunities where they wouldn’t otherwise exist. When you donate to CAPE, you can be confident that the funds will be spent in a responsible manner. 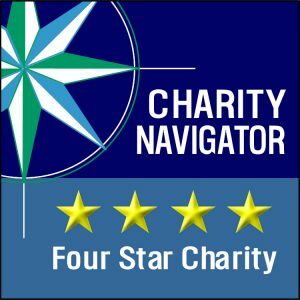 CAPE has received a 4-star Rating from Charity Navigator, an organization that assesses the health and stability of nonprofits. Click here for more details on our financials. There are so many amazing things happening in our CAPE Classrooms, and we’d love to have your support in doing even more! Make a gift to CAPE today!